The Earth is 4,6 billion years old. 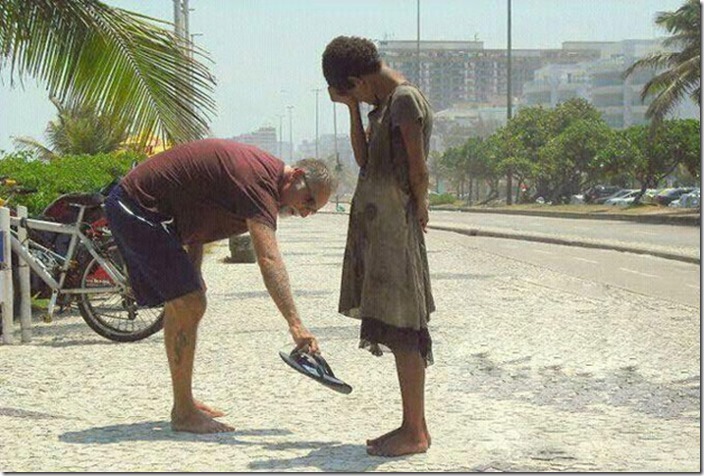 Humanity exists for over 200,000 years. Through the years we have evolved, we have changed our ways, we have created, invented and destroyed. If the time period was scaled to 46 years, humans have been on earth only 4 hours and in that time we have destroyed more than half of The Earth’s forests. 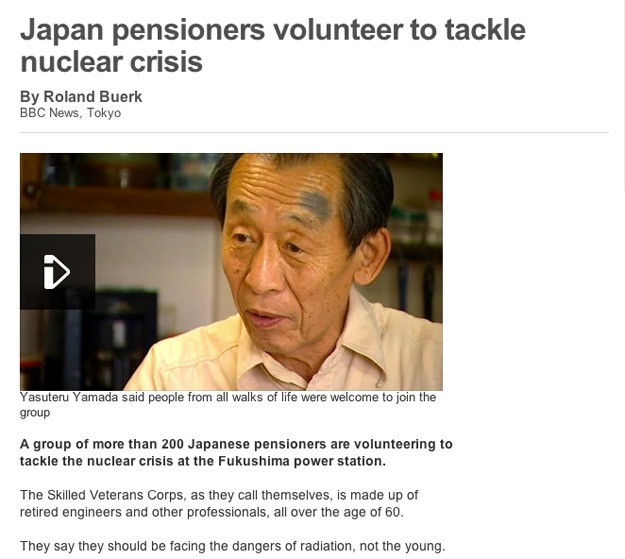 This makes us look like a deadly virus doesn’t it? 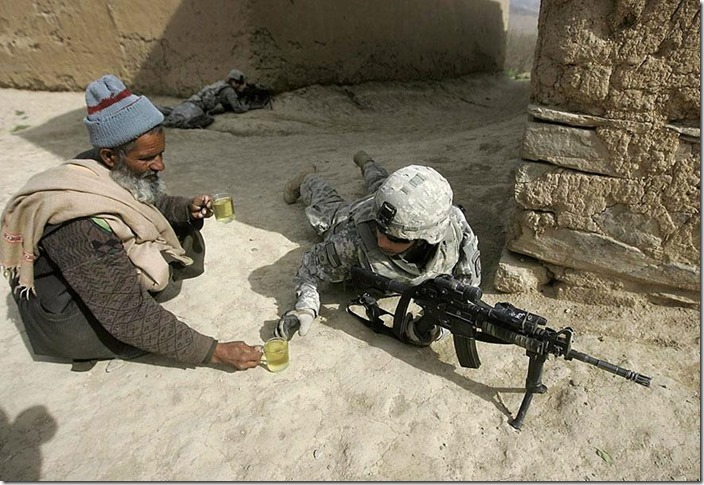 However, we are not all that bad. There are humans that made the world a better place and it is disrespectful to put them in the same bag as the ones who are destroying it. 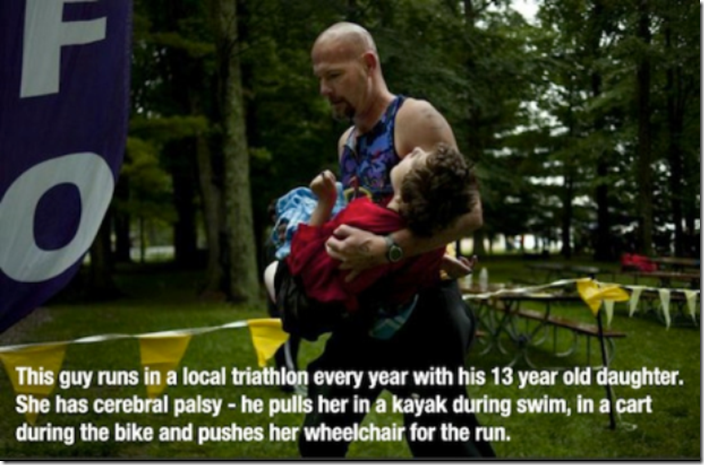 The actions of these individuals will restore your faith in humanity. 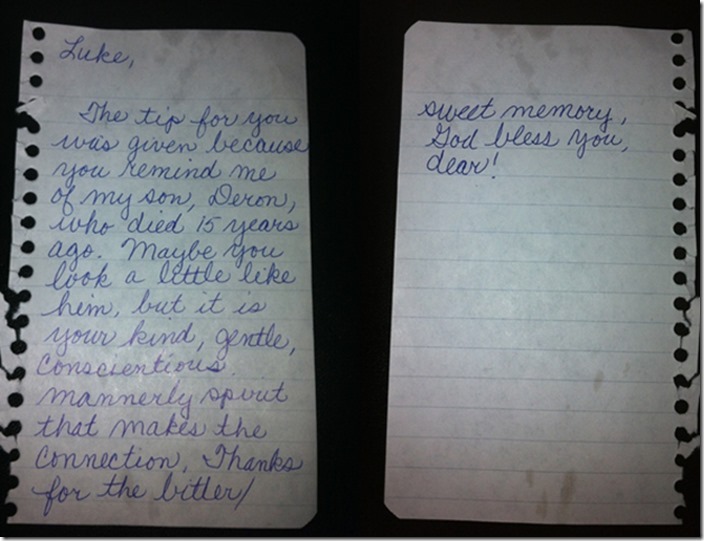 We should be thankful there are still people who are able to remind us that there is good in this world. 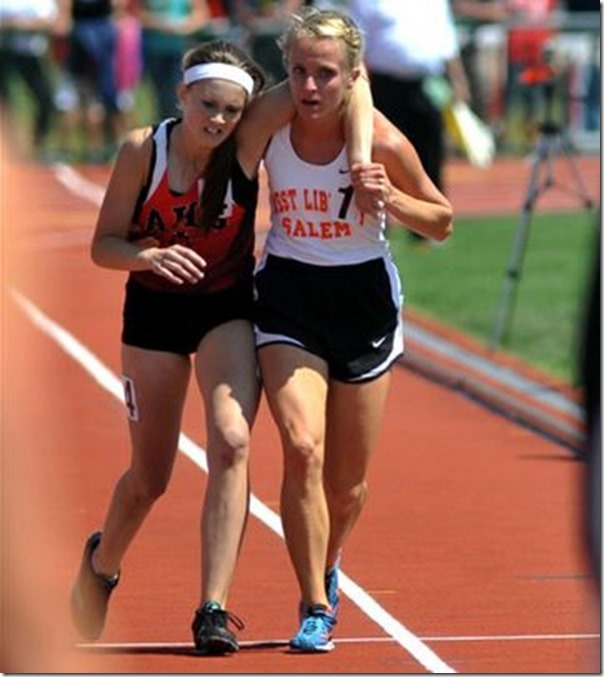 No matter what we believe in, what we compete for, how different we look and what side we stand on we are always going to be brothers and sisters. 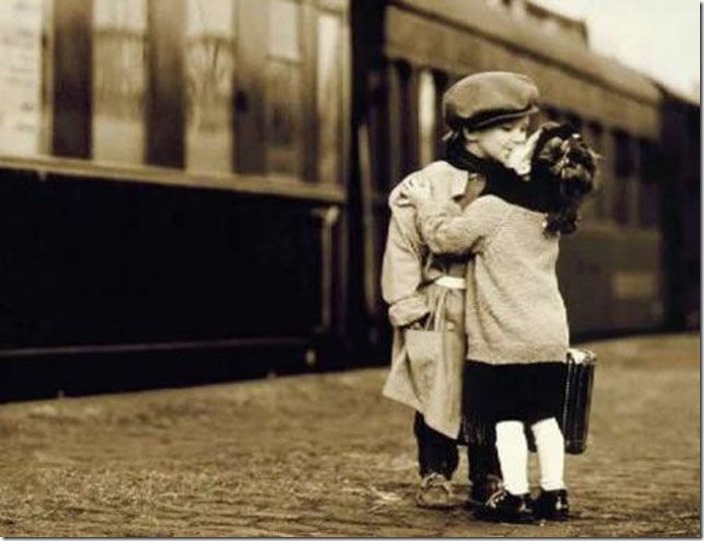 When we get rid of greed, ego and fear, all we truly want deep inside is to see each other happy. 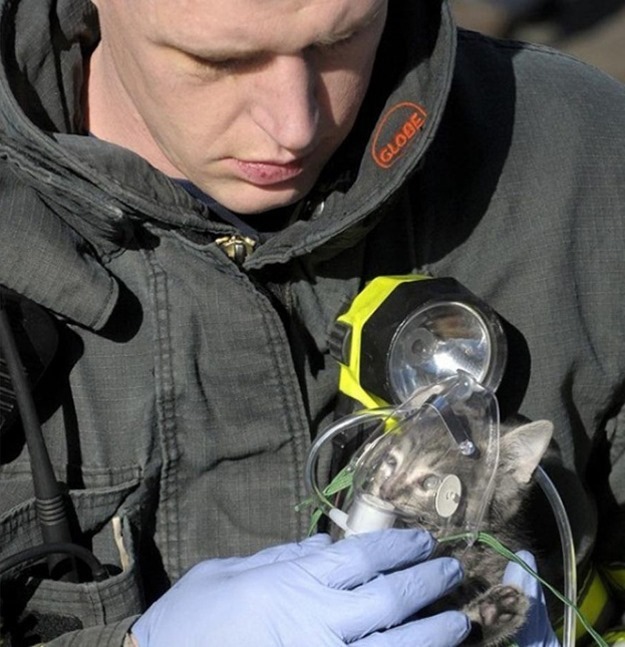 These images will show you individuals that should represent what humanity really is. Meghan Vogel, a 17-year-old girl stopped running and helped her injured competitor to cross the finish line. 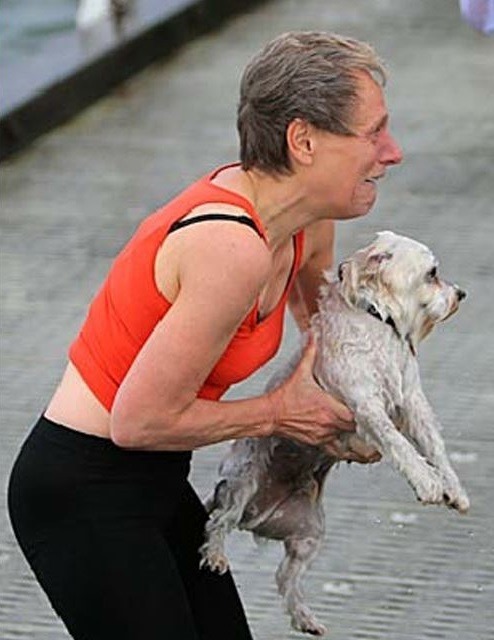 A random guy jumps in the water to help a drowning dog that was blown away by strong wind. 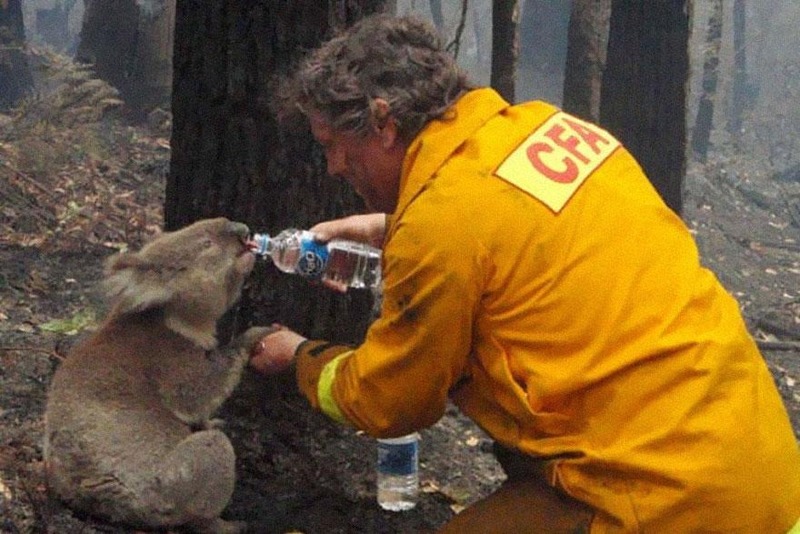 A firefighter gives water to a koala during the devastating Black Saturday bushfires in Victoria, Australia, in 2009. 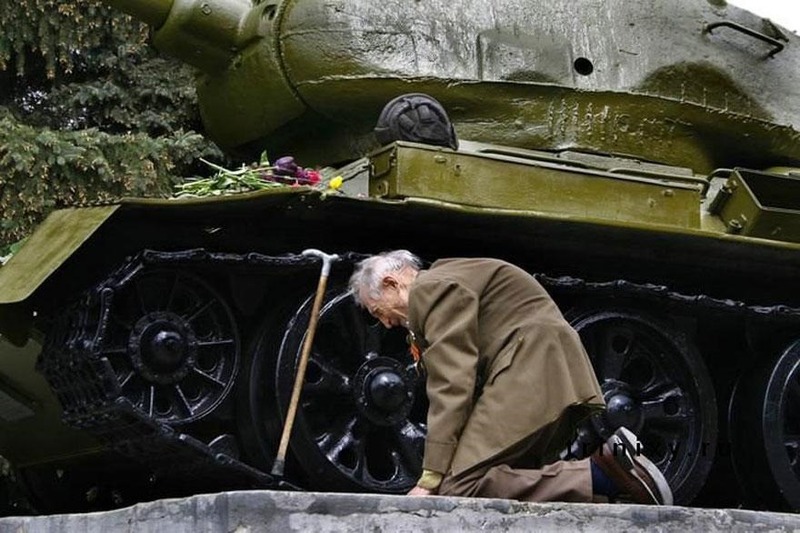 An old World War 2, Russian tank veteran finally found the old tank in which he drove through the entire war. The tank was standing in a small Russian town as a monument. 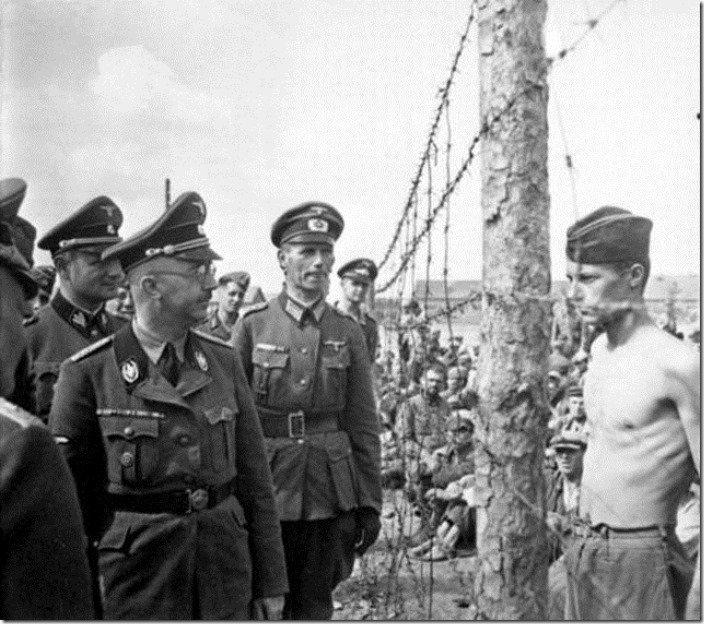 The veteran dropped on his knees and started crying while remembering the horrors he experienced through the war. 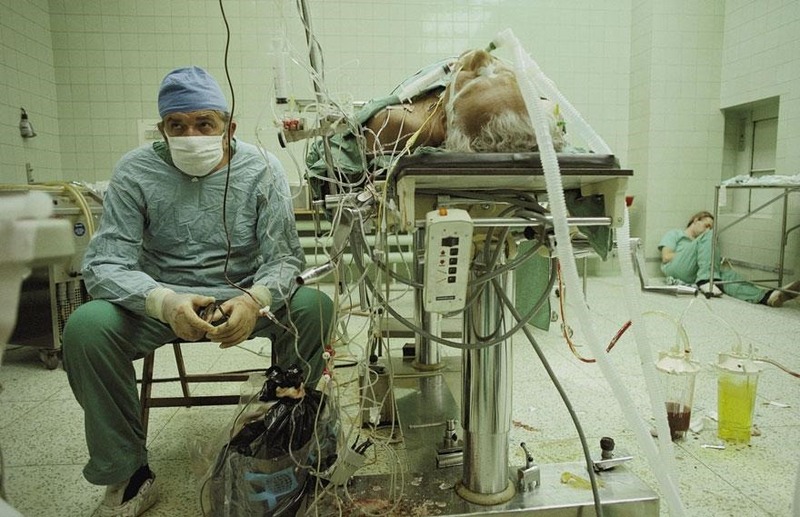 A Heart surgeon is resting after a long 23-hour (successful) heart transplant. His assistant is sleeping in the corner. 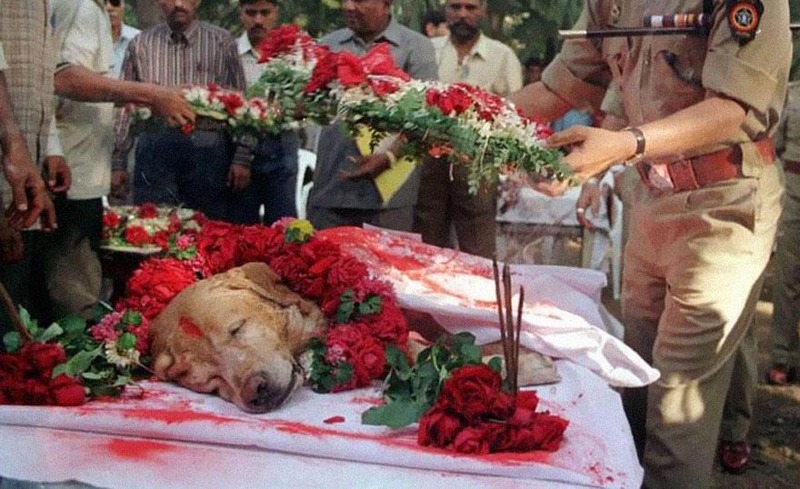 This dog saved thousands of lives during Mumbai serial blasts in March 1993 by detecting more than 3,329 kgs of the explosive RDX, 600 detonators, 249 hand grenades and 6406 rounds of live ammunition. His name is Zanjeer and he was buried with all the honors. 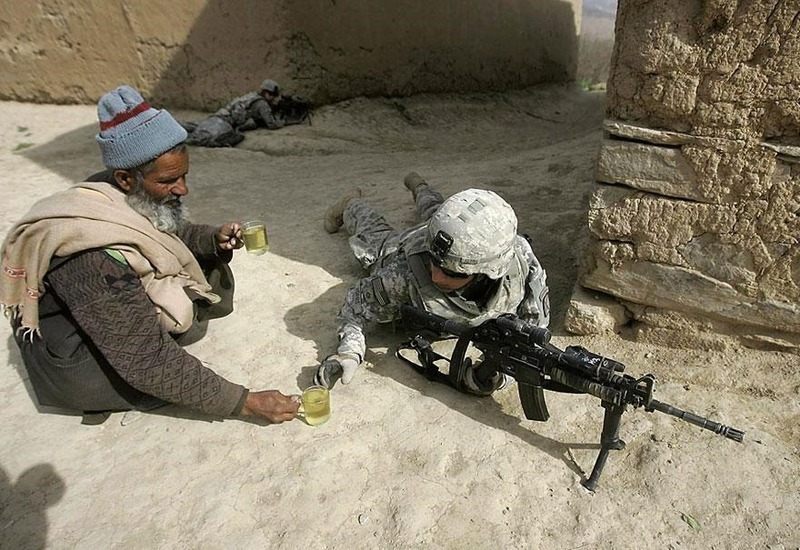 An Afghan man offers tea to soldiers. 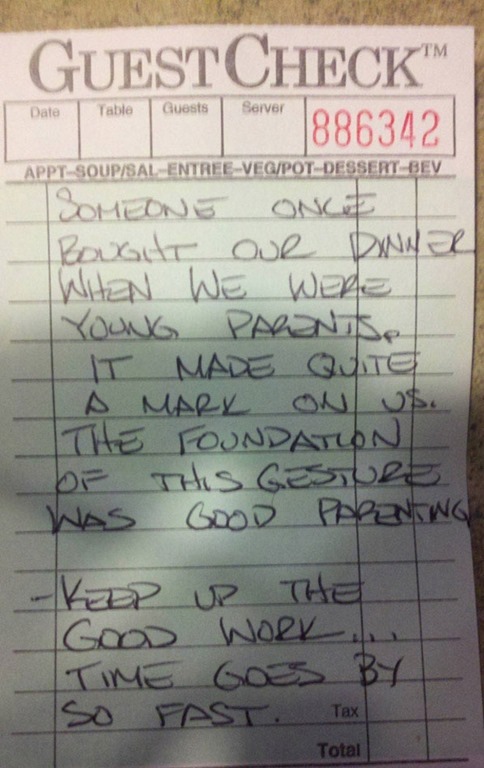 An older couple buys a dinner to a random younger couple letting them know that the same thing happened to them a long time ago and resulted in great parenting. 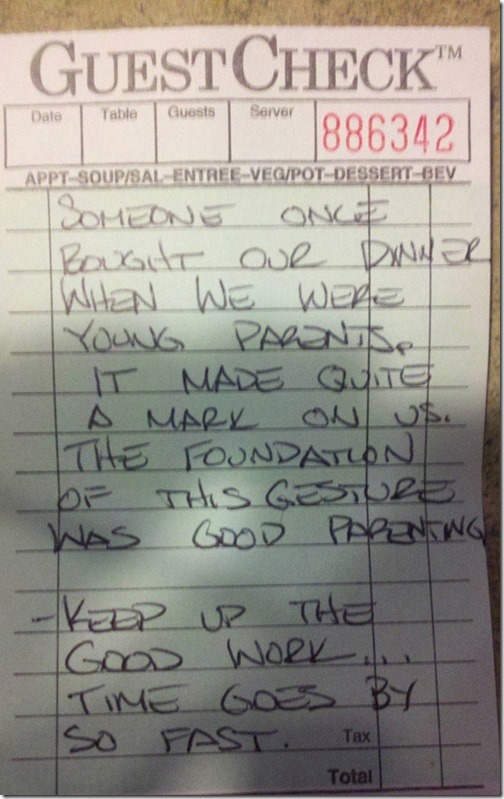 They are spreading the positive energy hoping it will help the young couple the same way it helped them. 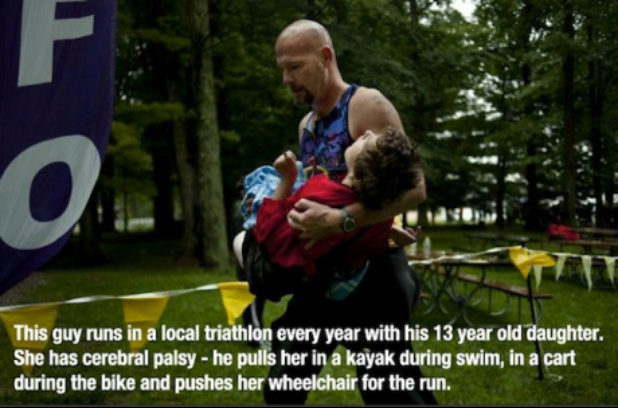 The strength of this man is powered by the depths of his heart. Horace Greasley defiantly confronts Heinrich Himmler during an inspection of the camp he was confined in. Greasley escaped from the camp and snuck back in more than 200 times to meet in secret with a local German girl he had fallen in love with. A person left a tip and a note for the waiter explaining that he reminded him of his son who died 15 years ago. 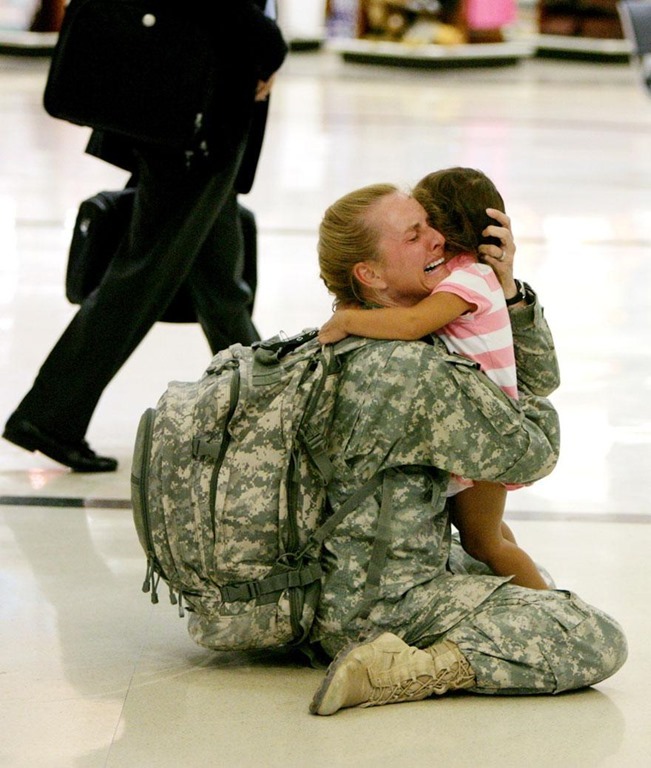 Terri Gurrola is reunited with her daughter after serving in Iraq for 7 months. She drops down and hugs her at the airport right after she sees her for the first time after 7 months. 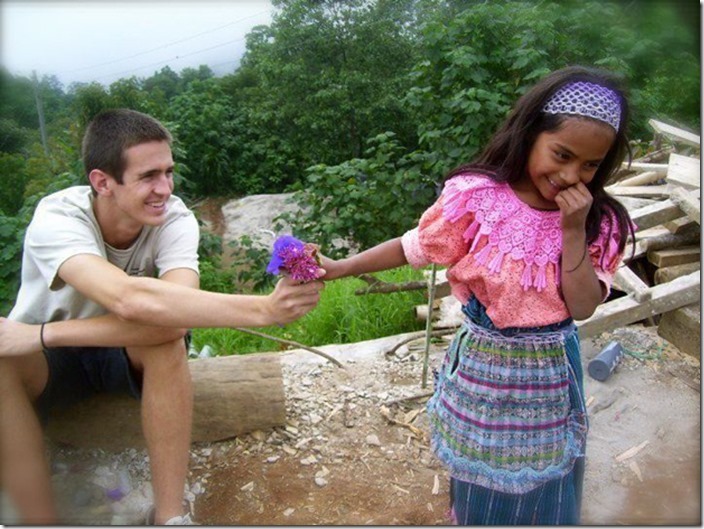 A Guatemalan girl is giving flowers to a tourist she just met and fell in love with. An elder man is giving his shoes to a homeless girl. 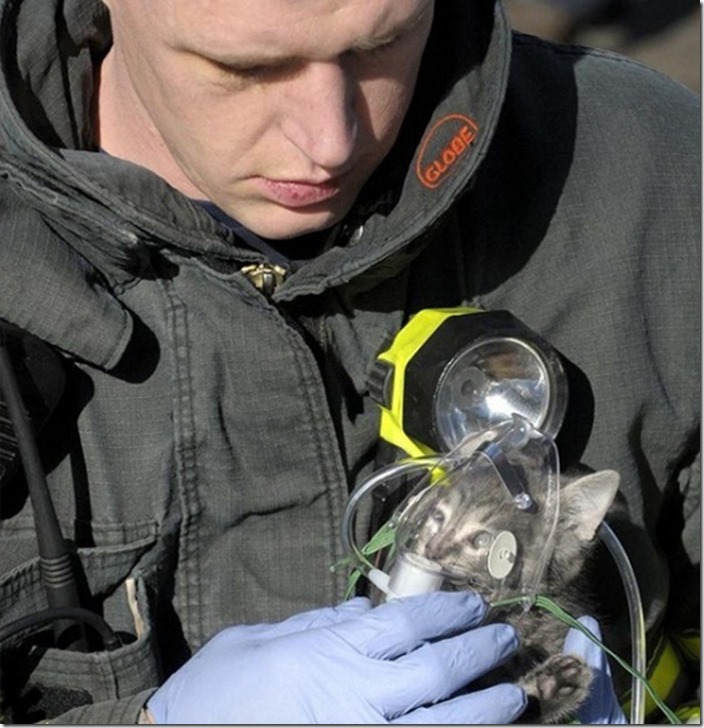 A fireman is giving oxygen after saving the cat from the burning building. Over 200 Japanese senior citizens volunteered to tackle the nuclear crisis at the Fukushima power station to spare younger people from volunteering and being exposed on radiation. When John Unger had suicidal thoughts after a breakup, it was his dog Shoep who brought him back to sanity. 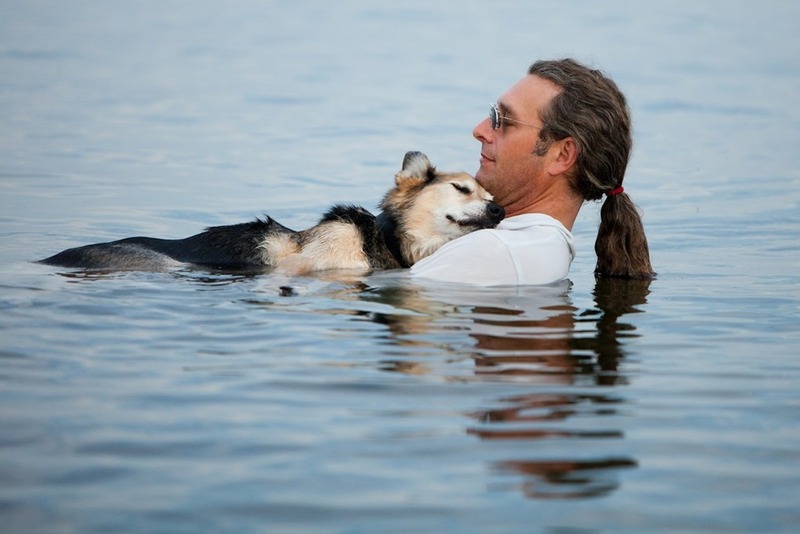 Now he is helping his dog who has arthritis to fall asleep. 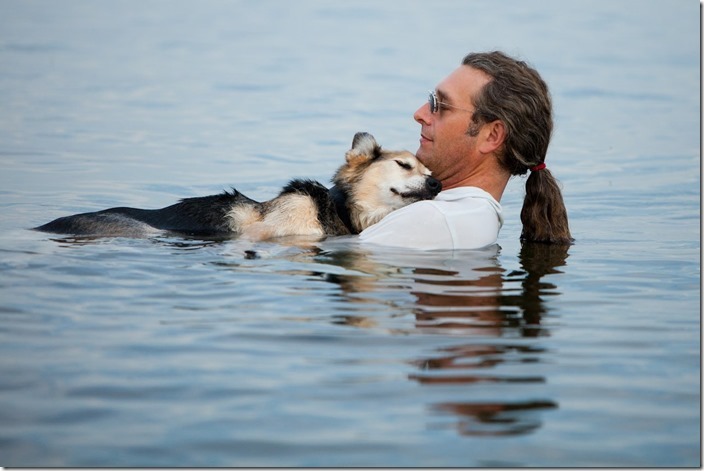 He is taking his 19-year-old dog every day into the water to help him relax and fall asleep. A thoughtful and generous human left couple of cold bottles of water to make sure that thirsty people who are working through the hot day stay safe and hydrated. We are humans! 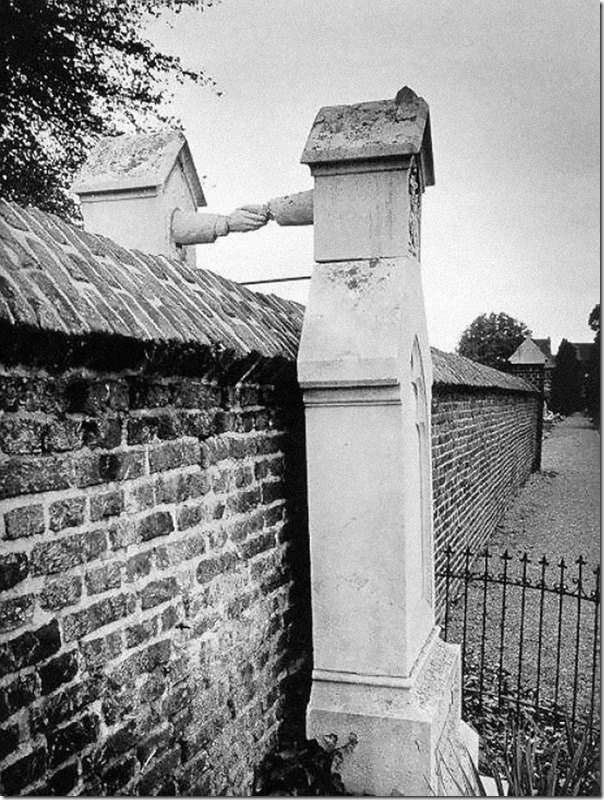 Our love is the strongest force in The Universe. 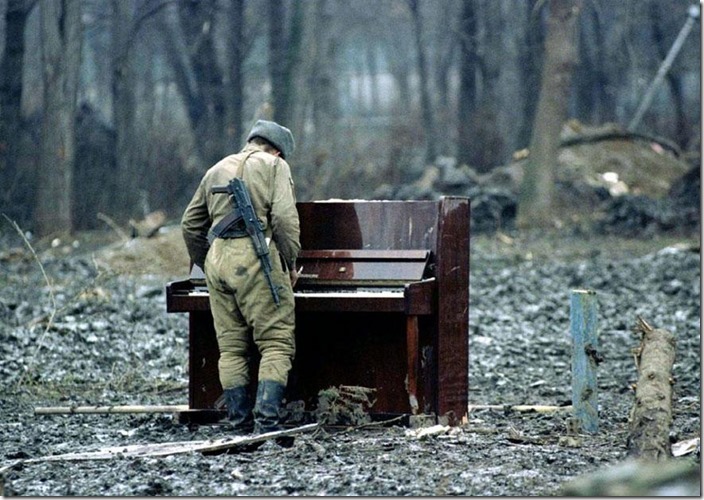 Humans are not the ones who destroy the world, the absence of humanity is. 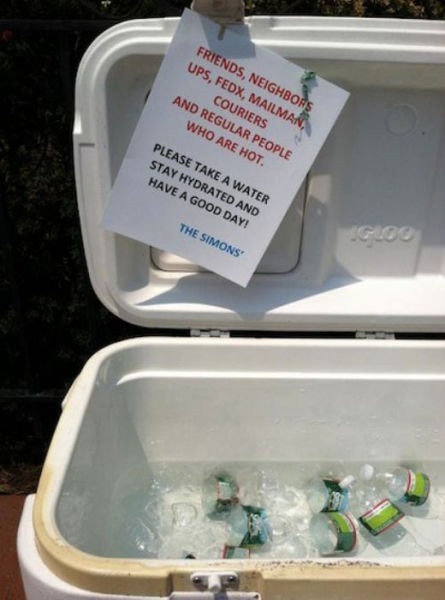 Humans are the ones who make the world a better place. We should always remember that nothing else matters except being and remaining a human. Let all humanity unite and create a better, happier world. Let’s all show the world that it is a better place with us in it. Let’s show the world who we truly are.